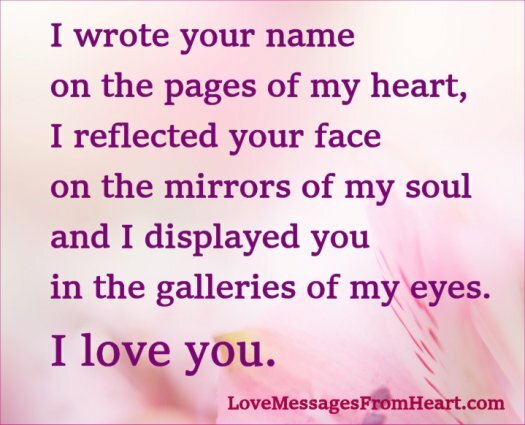 I wrote your name on the pages of my heart, I reflected your face on the mirrors of my soul and I displayed you in the galleries of my eyes. I love you. I belong to you, with my heart and soul. From the first time my eyes saw you, there has been a special connection between us, of heart and soul. I only have eyes for you, my heart is only yours and so is my soul. You are everything to me, you and I are one; one heart and one soul glued together through love. My dear, I just want to ask you to take good care of my heart and soul… they are both yours now.